Looking forward to having more time to explore faraway places? 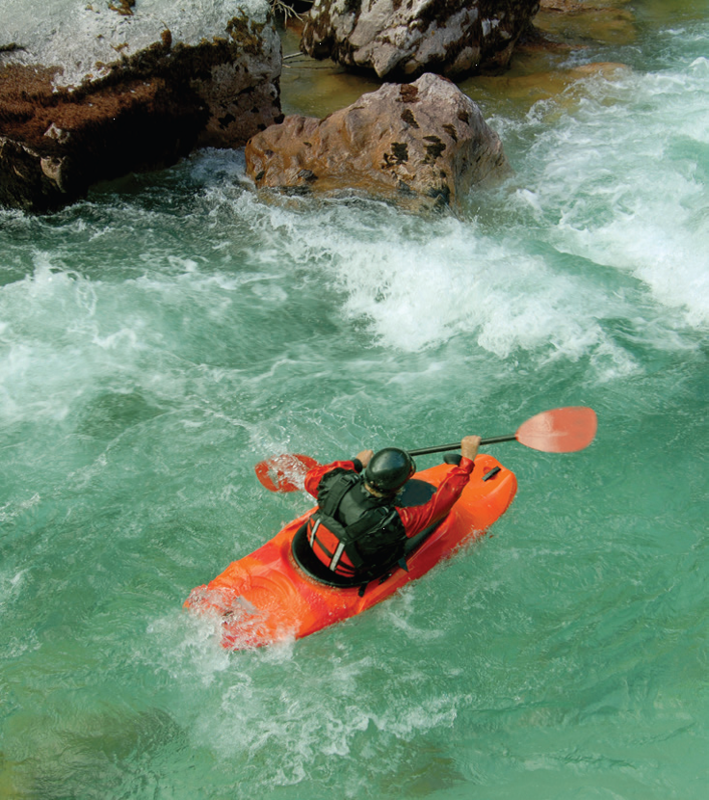 Retirement is a time for you to do the things you’ve always wanted to do. Perhaps you’re looking forward to having more time to explore faraway places. Or maybe you dream of simply waking up each day and doing whatever takes your fancy. However you see your future, it helps to start planning for it as soon as possible. How much money will you will need to live on later in life? Divorce is undoubtedly one of the most difficult subjects to talk about. When relationships come to an end, there are so many things to consider – children, home and support are naturally the first things you would focus on. In fact, when you begin the process of separating a shared life, the sheer number of things to deal with can seem very daunting. And the cost of divorce can have a lasting impact on your plans for later in life. Read more of Breaking up is hard to do! Experiencing a golden age without money worries Saving enough during our working life will not just give us freedom to manage our finances more flexibly, but it will also help us to secure a more comfortable lifestyle in retirement. Even though the baby boomers (the generation born between 1946 and 1964) are better off than any other generation, according to a new report, one in three (33%) people nearing retirement in this age demographic still don’t feel confident they’ll have enough funds to live on. A much needed boost to the nation’s savings A million more women in their 20s could be saving adequately for retirement if they were able to access emergency cash from their pension, according to new research. The latest Women & Retirement report highlights that the current lack of flexibility in pensions is a barrier to saving and that introducing the ability to access funds for unexpected bills could provide a much-needed boost to the nation’s savings. New social phenomenon – the ‘sandwich generation’ In recent years, a growing realisation has formed that we’re in the middle of a new social phenomenon – the ‘sandwich generation’. The term ‘sandwich generation’ is often used to refer to those who care for both sick, disabled or older relatives and dependent children. Planning your next move for a comfortable retirement It can be a daunting prospect to think about selling the family home, but it is a decision that many decide is the right choice for them once the children have long moved out and the upkeep seems too onerous. However, people don’t often consider the impact this could have on their retirement, according to new research. Read more of To downsize, or not to downsize? Plan to enjoy the kind of lifestyle you want in later life ‘Will I be able to afford the retirement lifestyle I want?’ is a question that many people ask but struggle to figure out. There are many ways to assess your likely income in retirement and work out how much you need to put away now to enjoy the kind of lifestyle you want in later life. This is why more and more people, where appropriate, are turning to private pensions as a tax-effective way to build or enhance their retirement income. Steps to mitigate against Inheritance Tax Unforeseen life events and circumstances can potentially impact your finances in a number of ways. 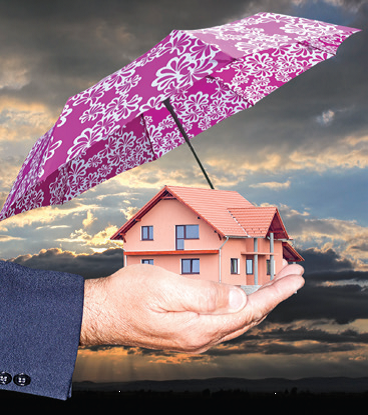 We can help you to safeguard your wealth for future generations. But for many of us, there can be a remarkable gap between our intentions and our actions. Making sacrifices for home ownership over retirement Millennials are chasing the home ownership dream at the potential cost of a lower income in retirement, new research shows. Over a third (35%) of millennials say they prioritise saving for a deposit on a home instead of their retirement. Nearly a fifth (19%) say buying a house is the main reason they don’t save more into their pension, while 10% say student debt stops them saving into a pension. One in 11 (9%) admits that frequently changing jobs affects their ability to make regular pension contributions. Planning your legacy Unforeseen life events and circumstances can potentially impact your finances in a number of ways. Believe it or not, you have an estate. In fact, nearly everyone does. Planning to get where you want to be Successful saving and investing is arguably a lot like exercise – no pain, no gain. As is the case when undertaking a new fitness regime, if you properly commit yourself and stick to it, the eventual outcomes can be very rewarding. Planning for the retirement you deserve Over time, with life expectancy and the cost of living rising, it could mean that some retirees are at risk of running out of pension income in later life. So what can you do to make sure that you have a big enough pension to meet your needs for the whole of your retirement? Living a less complicated life! Not putting all your eggs in one basket Everybody has investment goals in their life, from the old adage of saving for a rainy day to planning a comfortable retirement. There are many reasons why investors might seek an income stream from their investments, for example, to pay for a dependant’s education, supplement a pension or fund the cost of care, yet achieving it can be hard. Planning your long-term investment objectives Selecting the most appropriate investment products and undertaking the right planning at the right time to minimise the amount of tax you pay are key to accumulating wealth over the long term. Add to this general economic factors, business conditions and political events, these are just some of the things that can cause uncertainty and volatility in the markets. Over any given time period, the economy can also go through a series of ups and downs. Contemplating a long-term self-employed future? Self-employment enables you to exercise your sense of freedom in business decision-making and to choose your own business path. There are many benefits to becoming a self-employed freelancer or running your own business: the flexible hours, the option to work from home, no fixed holiday allowance, and, of course, being your own boss. But it’s vital to remember that there is no sick pay, life insurance or pension scheme benefits, unless you arrange to put these schemes in place yourself. Move to equalise male and female pension ages Women will now start to qualify for the State Pension at the same age as men, currently set at 65. The move to equalise male and female pension ages began 25 years ago and has been gradually phased in. Your State Pension age is the earliest age you can start receiving your State Pension. It may be different to the age you can get a workplace or personal pension. Pensioners ‘in the dark’ over how to protect their pots if markets tumble Many retirees are at risk of overlooking their pension finances by falling into an avoidable trap, according to new research. A third (36%) of people keeping their pension invested through retirement could be hit harder by falling markets as they do not have a cash safety net to fall back on, research has found. And even though two thirds (64%) of retirees are holding cash in reserve, fewer than one in ten (8%) would think to use it if there was a ‘significant’ drop in the stock market. Getting there could be easier than you think – but you’ll need to start young Parents could make their baby an adult millionaire by starting a pension pot when they are born. Children born this year could become millionaires by their 43rd birthday if their families contribute to a pension for the first 18 years of their lives. The analysis found that parents or grandparents contributing £2,880 per year (£3,600 after tax relief) until their children turn 18 years old could create a pot of £1,021,837 by 2061. The figure assumes a total contribution of £51,840, a growth rate of 8% per annum, and is net of product charges. Read more of Who wants to be a millionaire? Redefining how millennials become more financially secure Millennials are set to redefine how wealth is shared between generations, according to new research. Contrary to expectation, it is not millennials (aged 18–34) who appear to be under the greatest financial strain, with 44% saying they are ‘comfortable’ financially. In fact, the research shows they are trying to do the right thing. Careful planning can reduce or even eliminate the Inheritance Tax payable Intergenerational planning helps you put financial measures in place to benefit your children later in life, and possibly even your future grandchildren, so it’s important to start planning early. Considering making contributions ahead of the tax year end? Investing for the future is vital if you want to enjoy a financially secure retirement, and it requires you to look at the big picture. Although pensions can be complicated, we will help you get to grips with the rules if you are considering making contributions ahead of the tax year end. Here are our top pension tax tips. 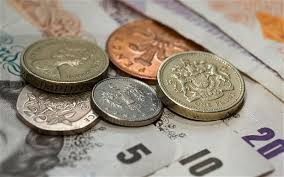 Treasury enjoying a tax bonanza from pension withdrawals Following changes introduced in April 2015, you now have more choice and flexibility than ever before over how and when you can take money from your pension pot. Time to give your financial future a boost? 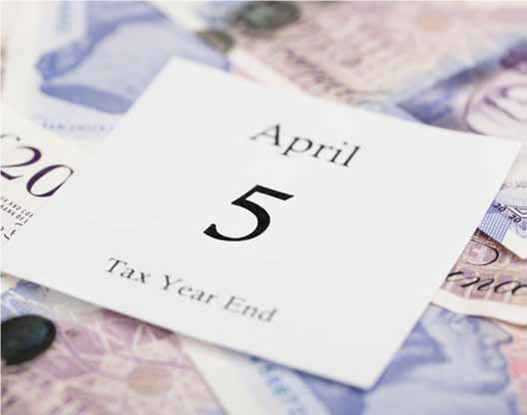 The end of the tax year on 5 April is fast approaching, so make sure you’ve made the most of your annual allowances before it’s too late. No matter what, why or how you want to save and invest, an Individual Savings Account (ISA) could help make your money work harder for you. Least financially resilient group delay life milestones due to financial insecurity Life can get complicated when you hit your early thirties, which means your finances are starting to get serious. You might be in the middle of countless transitions, like moving up in your career, starting a business, buying a home, getting married, having children…and a whole lot more. Busting the myths of investment companies’ performance Saturday 15 September 2018 marked ten years since the collapse of Lehman Brothers. And with the bull market following the global financial crisis – now the longest in history in the US – it’s useful to revisit the past. The Association of Investment Companies (AIC) has looked at the long-term performance of investment companies from just before the dot-com bubble burst in 2000 and just after the collapse of Lehman Brothers in October 2007. Taking responsibility for funding our own retirement Although each generation will likely face different challenges and opportunities, achieving retirement readiness will require actions common to us all. We all know that our ageing population and increased life expectancy are putting a strain on government finances. Following pension freedoms, there’s greater choice than ever before in how you access and take your retirement benefits. Job prospects, savings, safety nets and life expectancy Rising housing costs, soaring student debt and low wage inflation have left many millennials with stretched budgets. They may get regularly mocked as Generation Snowflake obsessed with spending on luxuries, but new research shows they are focused on saving for retirement and want more support. Common ways fraudsters can steal your personal information As individuals, throughout our lifetime we exchange personal information with a vast number of institutions including banks, credit card suppliers, utility companies, supermarkets, government organisations and retailers. This may be to receive important services, but also to allow us to do the fun things like shopping, eating out or going on holiday. Impact of rising prices on investments A pound saved is a pound earned. But thanks to inflation, over time, the value of the pound saved could be much less than when it was earned. One cannot ignore the corrosive impact of rising prices on investments. Planning the BEST route for the next generation You have worked hard to build your wealth. Passing it on to the next generation fairly, safely, effectively and efficiently takes skill and careful preparation. But some people find the idea of discussing inheritance uncomfortable and subsequently put off estate planning until, in some instances, it may be too late to make a difference. A pension could well be the biggest single asset in the relationship What is likely to be a divorcing couple’s most valuable asset? The family home will spring to most people’s minds first. But the value of a pension could well be the biggest single asset in the relationship. Building wealth for a solid financial future As a parent, guardian or grandparent, you’ll want to provide the best future for your children or grandchildren that you can. Christmas is an excellent time to encourage children to start thinking about the value of money. Many children have hundreds of pounds spent on them at Christmas. But could that money be put to better use? Rather than buying yet more toys for your children or grandchildren, why not consider setting up a tax-efficient Junior ISA for them or contributing to their existing Junior ISA or Child Trust Fund. Read more of Should I stay or should I go now? To transfer, or not to transfer? Read more of To transfer, or not to transfer? With Brexit now less than a year away, how insular are your investments? What does the pension lifetime allowance buy? It is worth looking at what your pension pot could buy for your retirement. Read more of What does the pension lifetime allowance buy? There are advantages to planning your ISA investments around the start of the tax year. Important changes for venture capital schemes and enterprise investment have recently come into effect. The Chancellor’s Spring Statement on 13 March was, as promised, a low-key event. February saw a dramatic return of volatility to global stock markets. The start of the new tax year on 6 April marks several changes to tax and related matters that could make you richer… or poorer. You may be due a refund if you have registered a power of attorney in recent years. The rules for inheriting ISAs will change from 6 April. A recently released report shows dividend payments in the UK grew more than 10% in 2017. New regulations are producing some strange figures in investor information documents. HMRC has published its annual assessment of the cost of tax reliefs. There will be no Spring Budget this March, but that does not mean the Chancellor is staying silent. Investors and their advisers should start to turn their focus to the end of the tax year on 5 April. The world’s share markets were a profitable place to be in 2017. The US central bank increased interest rates again in December. The government has published a review on automatic enrolment in workplace pensions which makes important proposals for employers. An HMRC paper promised in the Budget could be bad news if you use Airbnb. Last month saw another Budget – for Scotland, this time. Fancy your chances at 1 in 24,500…? National Savings & Investments have increased their interest rates – and boosted a chance of winning. Read more of Fancy your chances at 1 in 24,500…? The Autumn Budget included a raft of measures focused on venture capital schemes. The first Budget of 2017 in March hit a serious obstacle when the Chancellor attempted to raise national insurance contributions (NICs) for the self-employed. This time around he was subtler in his approach. November marked the first rise in the Bank of England Base Rate in over ten years. The Autumn Budget contained more bad news for many buy-to-let investors which went largely unnoticed. Has your income risen by 14.3% over the past year? Statistics show that dividends from UK shares are still rising rapidly. Read more of Has your income risen by 14.3% over the past year? New figures from HMRC show a large jump in VCT investments in 2016/17. State pensions will rise by 3% next April, but it’s not all strictly good news. Read more of A pensioners’ bonanza? September inflation was just low enough to spare Mark Carney writing to the Chancellor. And helped spur the first interest rate rise in a decade. The third quarter of 2017 has ended and despite the heavy political news, investment returns were generally positive. Venture capital schemes: changes afoot? A consultation paper issued in August could mean changes to venture capital schemes. Read more of Venture capital schemes: changes afoot? The Chancellor has announced the date of his first Autumn Budget as Wednesday 22 November. The Bank of England has signalled that interest rates may rise soon. New statistics from HM Revenue & Customs (HMRC) show that cash withdrawals from individual savings accounts (ISAs) are probably more than matching fresh contributions. August provided a reminder that even in seemingly quiet times, the value of individual shares can be volatile. Self-employment is the dream of many, especially as the goal of retirement seems to creep further out of reach. Being your own boss sounds great. But there are drawbacks. Around two million of the country’s self-employed workers are unable to save any money each month, leaving them vulnerable to financial shocks. National Savings & Investments (NS&I) have launched their first Junior ISA. HM Revenue & Customs (HMRC) has come closer to using its weapon of last resort against tax avoidance schemes. Inflation was in the news last month in various guises. Read more of What’s your inflation yardstick? HM Revenue & Customs (HMRC) wants to remind you of its interest in your offshore investments. The government has announced plans for a further increase in state pension age. UK companies paid out a record amount in dividends in the second quarter of this year. The Financial Conduct Authority (FCA) has examined the impact of pension flexibility and is worried about the lack of advice. Finance Acts 2017: the sequel? The long-running saga of the final spring Budget and subsequent Finance Bills is one step nearer the end. Read more of Finance Acts 2017: the sequel? The first six months of 2017 have presented investors with an interesting half year. The general election left the future of many spring Budget announcements up in the air, but that situation may soon change. China-listed shares are finally to be included in the leading emerging markets index. Getting our hopes up for an interest rate rise? Last month saw the first suggestions that interest rates could increase soon. Read more of Getting our hopes up for an interest rate rise? The latest inflation numbers show prices rising at their fastest rate for nearly four years. There is unfinished business for the new government to deal with. No, it’s not a mistake, but it is not the FTSE 100, either. The general election campaign provided a reminder that the issue of funding social care remains unresolved. The latest Quarterly Inflation Report (QIR) from the Bank of England has been published and shows that ‘the Old Lady’ has changed her mind a little. But the market projections for short-term interest rates don’t make for helpful reading for those with cash deposits. The 2017 election manifestos offered little good news on the future of income tax. The market most associated with US technology shares reached a new high in April. The Spring Budget has become a victim of the snap election. One of the major index providers is reviewing the constituents of its important global market indices. Read more of China: fourth time lucky? The election has put a stop to planned increases in probate fees for England and Wales. Most people reaching state pension age today are receiving less than the new state pension. An independent review has recommended bringing forward the move to a state pension age of 68. Introducing the new NS&I bond – is that it? The Budget confirmed the rate on the new National Savings & Investments Bond. Read more of Introducing the new NS&I bond – is that it? The US central bank, the Federal Reserve, has increased interest rates for a third time. New rules for taxing many salary sacrifice arrangements come into force from 6 April. Read more of Time to review your salary sacrifice arrangements? The dividend allowance cut – what’s the damage? One of the few surprises in the March Budget was a cut to the dividend allowance to come in 2018/19. Read more of The dividend allowance cut – what’s the damage? New regulations promise another improvement to ISAs soon. 6 April marks the launch of a new ISA variant, the Lifetime ISA (LISA). Recently released figures show that UK dividends grew faster than inflation in 2016. National Savings & Investments are cutting interest rates from 1 May. Tax year beginning planning can be just as valuable as its more familiar year end counterpart. As the end of the tax year nears, remember the 5 April is a multi-faceted deadline. The government’s financial watchdog, the Office for Budget Responsibility (OBR), has been mulling over future healthcare and pension costs. Is a return to inflation on the cards? December’s inflation figure was the highest since July 2015. Read more of Is a return to inflation on the cards? At first sight, the results from the world’s main share markets in 2016 appear mixed, but that’s before currency effects are considered. From April, the residence nil rate band comes into being. The Treasury has announced the date of the next Budget. December saw a 0.25% increase in the main US interest short term rate. 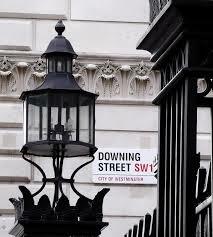 The Autumn Statement revealed plans for another annual allowance cut. 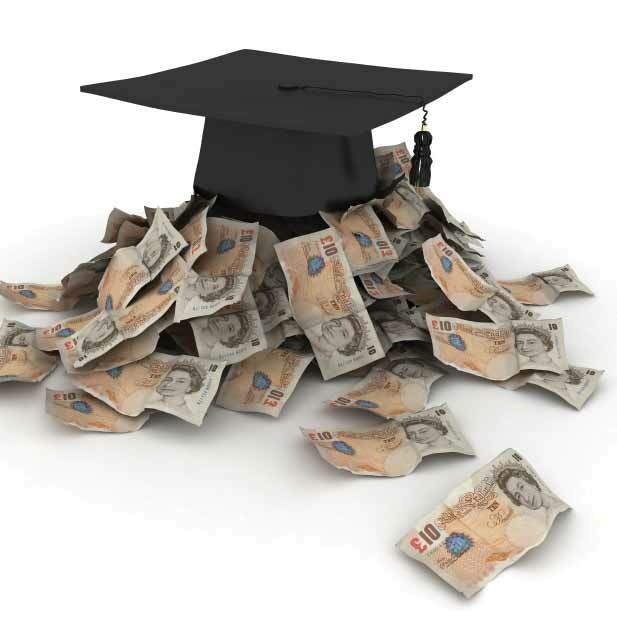 The Autumn Statement confirmed plans to limit the scope for salary sacrifice arrangements. It looks likely that the deposit protection limit will rise at the end of January. The Office for National Statistics has been examining the value of unpaid work. What are the investment consequences of the surprise US election result? The Treasury has changed its mind about allowing the sale of pension annuities. Radical reform for pension contribution tax relief? The pre-Autumn Statement rumour mill is suggesting a radical reform of pension contribution tax relief. Read more of Radical reform for pension contribution tax relief? State Pension Age: getting older? The government has published an independent review on the state pension system. Read more of State Pension Age: getting older? Sterling’s fall is boosting dividend payments. Inflation rose to 1% in September, but that will not be the end of the story. The third quarter of 2016 was not the meltdown it threatened to be after the referendum. New statistics from HMRC show that cash is still a popular ISA investment, despite ultra-low interest rates. What role does property play in retirement planning? There has been a difference of opinion on the role of property in retirement planning between the Bank of England’s Chief Economist and a former Deputy Governor. Read more of What role does property play in retirement planning? The Treasury has confirmed that the Autumn Statement will be on 23 November. The previous Chancellor’s plans to launch a Lifetime ISA (LISA) have been given a fresh breath of life. The next stage of the opening up of the Chinese stock markets has been agreed. In August, HMRC published a consultation document on adding a new weapon to its anti-avoidance armoury: penalties on ‘enablers’. New statistics have been published showing just how much has been withdrawn in the first year of pensions freedom. The fall in interest rates is boosting some pension transfer values. The Bank of England halved its base rate in August. By the end of the year, it could be lower still. The interim procedure for claiming the 2016 pension protections has come to an end. Just how much interest are(n’t) you earning? The Bank of England may have finally ended speculation and dropped the interest rate from 0.5% to a new low of 0.25%, but there are plenty of savings accounts already paying less. Read more of Just how much interest are(n’t) you earning? The Brexit-induced decline in the value of the pound has brought some good news for investors. July saw several major property funds suspend dealings. The UK now has a new Prime Minister and a new Chancellor, but will tax policy change? The last few months have seen the country in the grip of election fever, but now it’s over and it’s time for the government to get to work on their promises and deliver the second Budget of the year. There are going to many changes coming up over the course of 2015 and we have addressed some of the most important issues that are going to affect you and your business, so sit back and enjoy reading your summer 2015 newsletter. Tax never stands still… There are important income tax changes due in April. Now the headlines regarding the budget changes to pension policies has died down and the finer detail is being sorted out by the legislators I thought it was worth a few lines on how “revolutionary” some of the pension changes actually are. The government is consulting on reforms to intestacy. What happens if you die leaving only your spouse/civil partner, no children and no will? The Association of British Insurers has started to publish annuity tables, with some interesting results. The Liberal Democrats have put forward their latest ideas on tax. 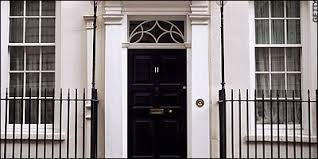 The next General Election is due on 7 May 2015 and politicians are already jostling for position, with talk of another coalition in the air. Emerging and developed markets are moving apart. Emerging markets have had a parting of the ways from their developed counterparts since spring. The market is unconvinced by Mr Carney’s 2016 target. One of the reasons why ‘forward guidance’ is a relatively new idea is that central bankers are a cautious bunch who avoid making themselves a hostage to fortune. Mr Carney’s three ‘knockouts” give him some wriggle room, but the more flexibility there is, the less the credibility of the forward guidance. August was not a quiet month at the Bank of England. The new Governor of the Bank of England, Mark Carney, came to the job with a ‘rock star’ central banker reputation which his predecessor, Sir Mervyn King, lacked. Mr Carney was expected to reform the Bank’s policies and in August he took a major step in this direction. Rice Whatmough Crozier LLP is registered in England & Wales no. OC349528. Rice Whatmough Crozier LLP is authorised and regulated by the Financial Conduct Authority no. 513803. The information contained in this website is subject to UK regulatory regime and is therefore restricted to consumers based in the UK.